Doing some more digging in my files yielded these two shots from 1985 when I was interning for the South Dakota Office of Tourism. 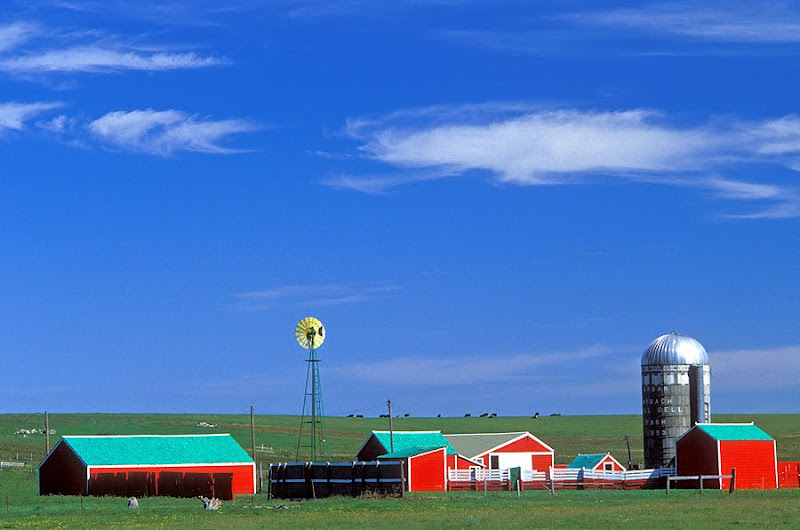 This colorful farm is somewhere between Pierre and Mobridge, but I'm afraid that's as close as I can narrow it down. It must have been freshly painted right before I stumbled upon it. The First United Methodist Church in Pierre has been added onto since '85, but this part looks pretty much the same still. 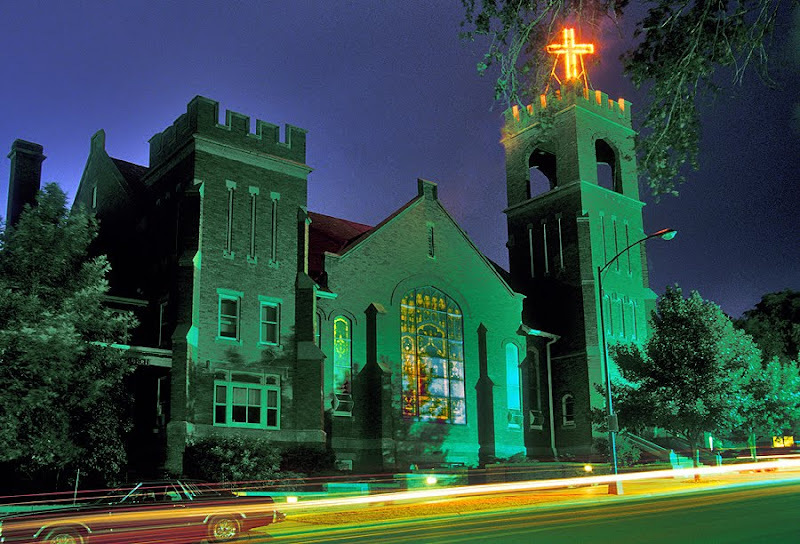 The castle-like tower and the neon cross drew me to it as a photographic subject. I remember that I took this shot around midnight with a Nikon FE2 set on automatic, which meant the camera kept the shutter open until it determined it had enough light to record the image on the Fuji film I was shooting. This exposure was almost exactly one hour. The strange colors are from using daylight balanced film under artificial street lights, plus a phenomenon known as reciprocity failure that happens with long exposures on film. Great shot Chad. My wife and I were married in that church. Wonderful building, but even better people.